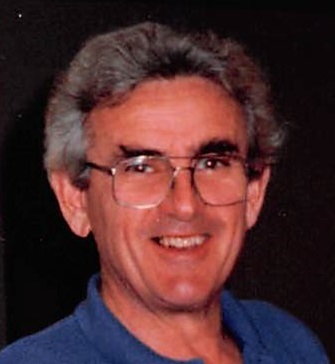 Obituary for Earle Farnsworth Wilson Jr.
GRAY - Earle Farnsworth Wilson Jr. passed away on Sept. 26, 2016. He was born in Rockland on Aug. 19, 1924, the son of Earle F. Wilson and Lucy Jacobs. He was a graduate of Pennell Institute, Class of 1943, where he participated in track, baseball, basketball, and band. He attended Clarion State Teachers College; Bowdoin College Class of 1949; New England Institute of Embalming Arts & Sciences; and the University of Maine School of Law, Class of 1955. Earle was a rebellious child; a local mother claimed he would end up in Thomaston State Prison for his antics about town, such as playing "war" with cherry bombs, firecrackers, and roman candles. His cherry bomb blew out a plate glass window at a prominent store in Gray Village. Throughout his life, this rebellious nature served the community and those around him well. When a child was lost in Gray, a special search team was brought in to find the child. Earle ignored their recommendations and located the missing child. At a time when women did not go to college when they still had kids at home, he supported his wife Nancy's efforts to go back to college. His father was a school principal and superintendent, so continuous education, both self- and official, was emphasized. This was evident by his learning lifesaving skills from his combat surgeon brother, in order help people with his ambulance service. Or when Earle took his Maine real estate broker's licensing exam and passed at the age of 80. The fact that the test was on a computer, and he never used a computer, did not faze him. He passed on the first try. 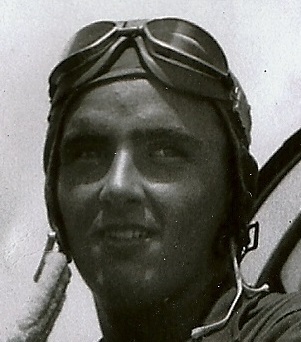 Earle enlisted in the Army Air Corps shortly after graduating from Pennell Institute. His mathematical aptitude and keen eyesight afforded him the opportunity to receive his wings as a fighter pilot at Spence Field in Moultrie, Ga. Earle flew an airplane by himself before driving by himself. He served for 27 months in the Army Air Corps during World War II. Many stories have been told about that era in his life, but the one about borrowing officer uniforms to sneak off the base in Kingman, Ariz., to explore the desert on horseback with Clyde Cobb, another soldier from Gray, best represents his nature. After his military service and education, he returned to Gray to help care for his mother, and run the family funeral home and ambulance service. He carried on the family Masonic tradition, being raised to the sublime degree of a Master Mason on Oct. 27, 1951. He was a charter member of Gray Rescue, member of the Kiwanis Club, and former member of Gray Post # 86 American Legion. He also did initial business and economic development surveys in Gray. Earle quietly served his community in many ways over many years, service which was discovered only when people mentioned it in conversation. When asked about the event, he would often ignore the question or make light of it. Earle was constantly focused on what was going on in the world and his town. He knew more current events than most people, and linked to historical events for perspective. He never offered his full support without a thorough vetting of an idea, forcing his children to think things through with constant "what-if" questions. A natural athlete, he would sit on the handlebars of his bicycle and ride it backwards in his mid-80s, to show off to his granddaughters. An early downhill skier, he and Donnie B. Hall tore up Wildcat Mountain, starting in the late 1950s. When a serious knee injury in his 60s occurred while skiing, a specialist doctor told him they would need to fuse the knee. Earle designed his physical rehabilitation program and was doing one-legged squats with the knee by next ski season. When his physical capacities were dwindling, and knowing he was going to die, he still challenged himself doing exercises while sitting up in bed, lifting his feet from the ground to his footstool. When completely bedridden, he would move his feet. His last physical act was holding an iPad mini, spending facetime with his son, Adam. Earle loved his dogs so much he established a dog cemetery on the property where 60 years of spoiled-rotten dogs rest in peace. After 40 years of being a funeral director, a health issue placed him in a position where he needed to sell or close. At the time, a big wave of Wall Street funeral homes was taking over much of the country. A big believer in small businesses, when asked if he were interested in selling, he said he would rather "lock the doors and burn the place down." His son took over, and Earle stayed on as a consultant until a few days before his death. After officially retiring as funeral director, he needed to be productive. He started working at Spring Meadows with his high school friend and basketball teammate, Donnie B. Hall. The change of work opened up a new door in his life, and he had a great time and made many new friends. His last day at Spring Meadows Golf Course was in the spring of 2016. He also moonlighted on various projects with carpenter Robert E. Emerson, whom he thought was an absolute "genius." They had mutual respect, as Mr. Emerson would describe Earle's talents in construction from "curious to genius." He was impressed with Earle's solarium, which he built in the 1970s after reading about them in Popular Mechanics. It was so new at the time that the code enforcement officer did not know how to permit it. Earle idolized his sister, Sarah "Wink" Wilson Garrett, for her national spelling bee championship, and for obtaining positions in the legal profession that normally did not go to women in her era. He also admired his brother, Dr. Ross Wilson, a lieutenant, senior grade, in the U.S. Navy, for requesting to be assigned to the Navy's Medical Corps as a combat surgeon to the "Lions of Iwo Jima." He went in on the second wave of the U.S. Marines. Ross received two Purple Hearts and a Bronze Star for his service, an act of bravery which Earle recounted on the 70th anniversary of the invasion of Iwo Jima. Earle was proud of his immediate and extended family. He loved his community and her people, from Lonnie's Hotdog Stand to Spring Meadows. He is survived by his wife of 58 years, Nancy; three sons, former Captain Eric F. Wilson, Ret. Naval Commander Adam M. Wilson and his wife, Tracy, and Jason C. Wilson and his wife, Claire; his nephew whom he loved like a son, Crombie Garrett, and his wife, Deborah; grandchildren, Merrill, Amelia, Lillian, and Emilie; nieces, Kathi and husband Bruce Skilling, Sarah and husband Bill Holmquist, and Deborah Wilson; nephews, Earle F. Wilson III, and Andrew, and wife Becky Blais; sister-in-law, Rachelle Blais; and several great-nieces and nephews. Special thanks go to numerous people who offered their support: Bob Emerson for one last "rescue" in Earle's time of need; Edward Kelley for his dedication to Dad's care; Matt, Mike, Joey Carroll, Chris Stilkey, and Mike Ryan for their professional expertise; Rev. Charles H. Whiston and Rev. Nash Garabedian for doing an Omega run (it meant more to Father than you will ever know); and Blais & Hay Funeral Home, Chandler Funeral Homes, and Albert-Burpee Funeral Home. Earle wanted to thank all those in death care: obituary clerks, florists, cemetery sextons, clergy, attendants, and funeral directors, for their dedication to providing a service that nobody wants! Thanks go to Claire Wilson, for just being amazing; and finally, to David Pollard, for providing my father what he most valued, the opportunity to be useful. A graveside service will be held at 11 a.m. on Tuesday, Oct. 4, 2016, at the family lot in Gray Cemetery. Arrangements are by Wilson Funeral Home, Gray. A reception will follow at Spring Meadows. Memorial Donations may be made to Gray Fire Rescue, 125 Shaker Road, Gray, ME 04039.